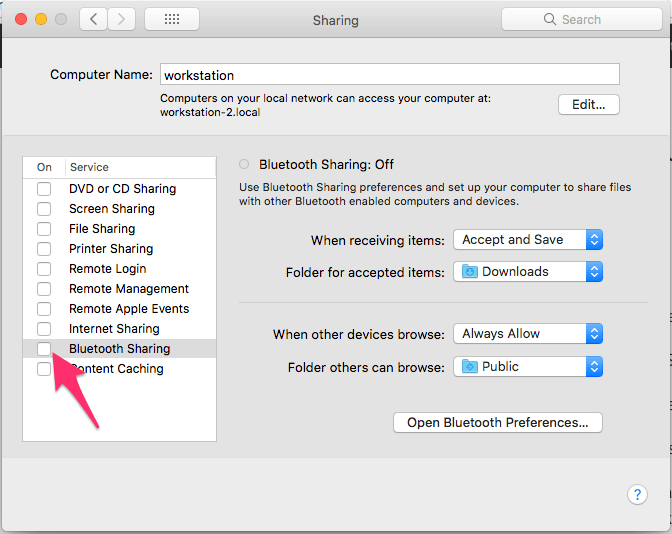 Continuing our run down of the sharing preference pane, Bluetooth Sharing allows you to easily share files via Bluetooth with other Bluetooth enabled devices. 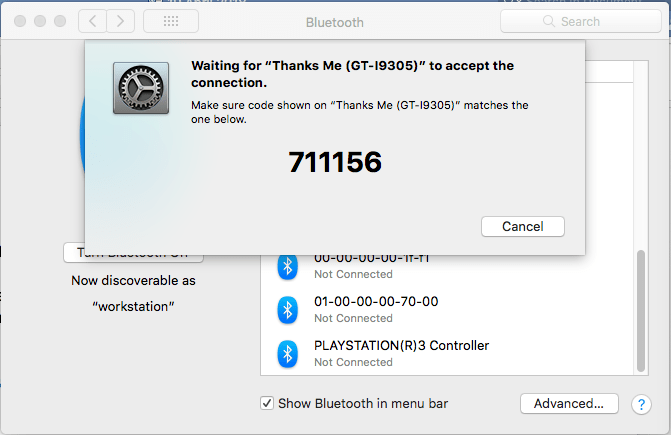 The devices do not have to be Apple products they can be Android phones for example. 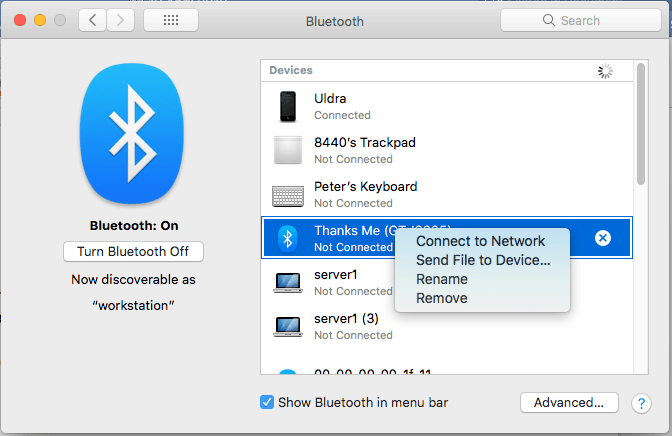 It can be a convenient way of transferring files when two computers are not on the same network, however the transfer speeds are quite slow compared with Ethernet or Wi-Fi networking. 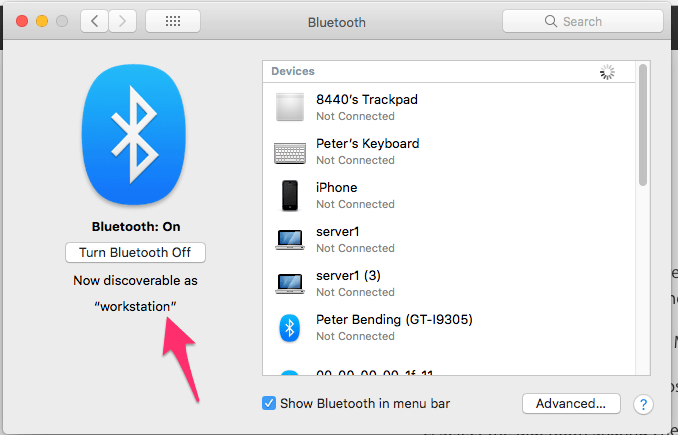 Special attention should be paid to which folder you allow other Bluetooth devices to browse, as if you leave Bluetooth Sharing turned on it is not as secure as other protocols and could allow unwanted people to access your Mac when you are in a public place. 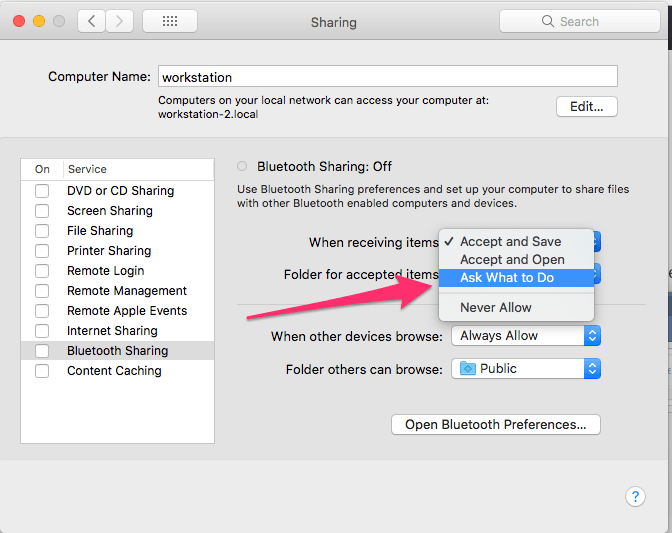 You can also set the options “When receiving items” & “When other devices browse” to “Ask what to do” which would be more secure however this can interrupt the file transfer from some devices. 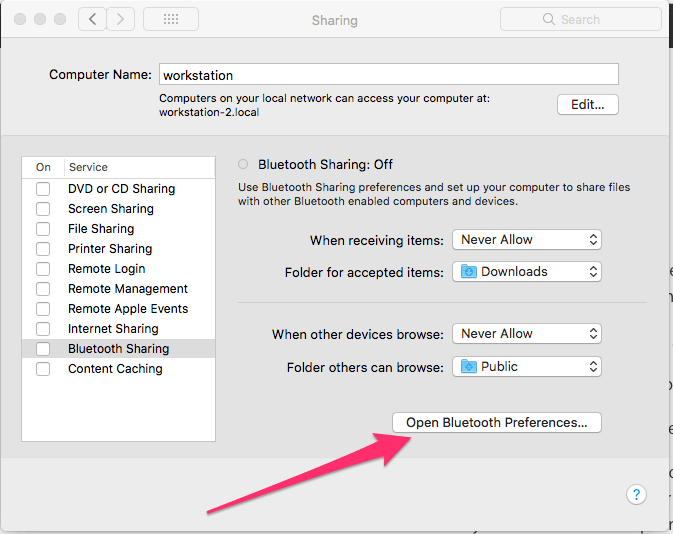 If you only want to send files from your Mac to another device over Bluetooth then setting the options for “When receiving items” & “When other devices browse” to “Never Allow” is the most secure option. 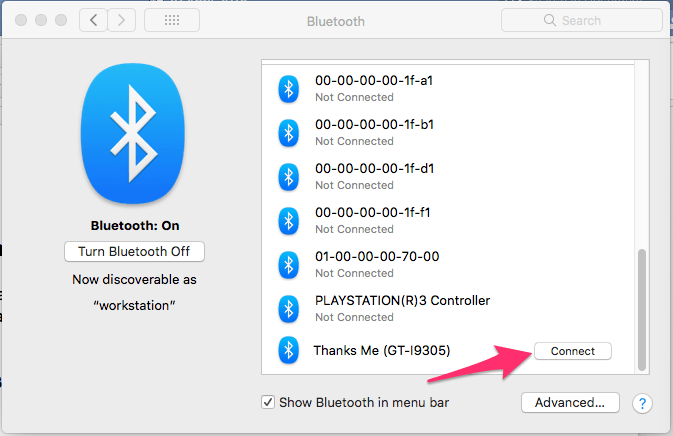 To add an Android phone Open Settings > Bluetooth on the device. 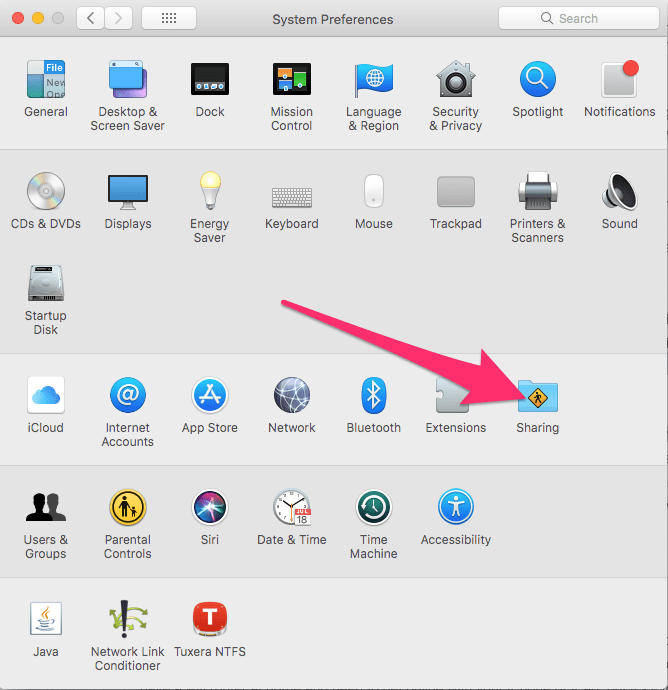 Then check the box to make the device visible. 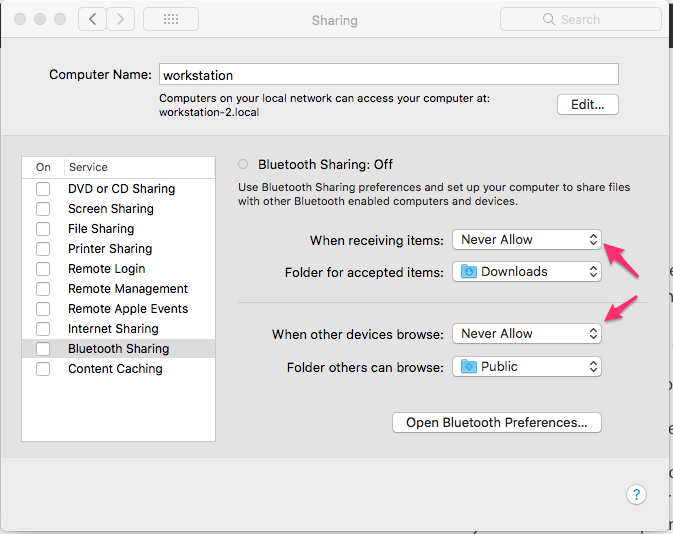 As for Bluetooth sharing of files to an iPhone or an iPad you must use AirDrop, Handoff or iCloud. 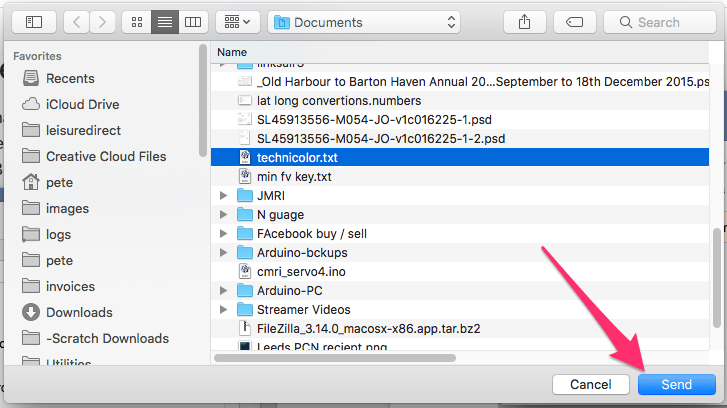 And we’ll cover that another day.